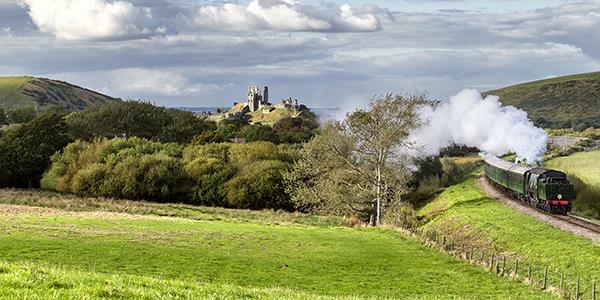 Corfe Castle has a fantastic range of events and history to keep both adults and children entertained. The impressive fortification is located to the south of Dorset, and was originally built in the 11th century as a defensive structure. 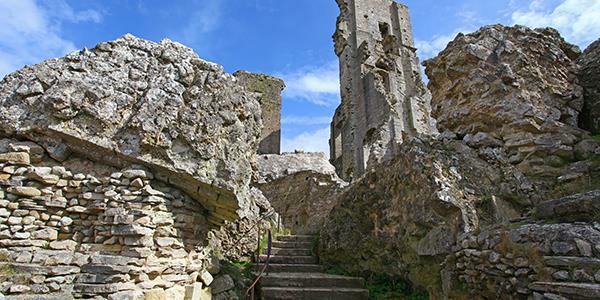 It guarded the principal route through the Purbeck Hills, standing between the south of Purbeck and the rest of England. It has been altered and adapted over the years by a number of various royal owners. Today the keep is one of the oldest remaining sections, having been a part of Henry I's 12th century alterations. Visitors can still climb into the tower and explore the ruins from the inside. Not only is it wonderful to be able to walk in the footsteps of so many past royal inhabitants, but the views of the Purbecks from the top of the structure are really incredible too! Sir John Bankes owned the castle in the 17th century and his wife, Lady Mary Bankes, successfully defended her home through two sieges during the English Civil War. By the mid 1640s it was one of the last strongholds still standing in southern England. Unfortunately in 1645 the castle fell under Parliamentary attack and was partly demolished. Here the Castle's dramatic ruins still stand in remarkable condition, and very little has changed since the 17th century. Following a short period of confiscation, the property was returned to the Bankes family and continued to be passed down for three and a half centuries. In the early ‘80s Ralph Bankes handed it over to the National Trust and it is now a Grade I listed building that welcomes visitors to come and discover its fascinating history. The National Trust cares for the castle and its extensive grounds. They host a fantastic range of events and themed days throughout the year that are great for both adults and children alike. Many of the activities draw upon the castle's intricate history, helping youngsters learn about England’s turbulent past. Visitors can explore the castle grounds as well as its crumbling walls. Romp amongst the ruins, and really get a feel for how dramatic the building would have looked in its heyday. 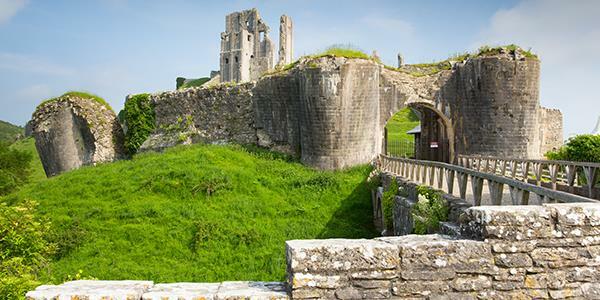 Discover secret places and 'murder holes' and admire the views of Purbeck and the village of Corfe Castle below. There's always something going on, from re-enactments to fairs to bird of prey displays. The castle is host to skills days and workshops, storytelling and themed falconry events. Find a full list of upcoming events on the website here. There are good facilities on site; the shop sells local goodies and gifts, a tearoom is located in the gardens and there is a visitor centre too, so you can make a day of it. The great thing about the site is that it’s a haven for walkers too. The castle’s surroundings are not only stunning, with the flora and fauna of southern Dorset calling it home, but it is also laced through with a number of walking routes. Take a look at some of the National Trust’s suggested trails here. Why not take a wander down into the village itself for a look around? The famous Swanage heritage railway travels the 10-mile journey between Swanage and Wareham, stopping off at Corfe Castle en route. So if you want to make the day really special, arrive at the castle by steam train. Take a look at the website for more info and tickets. Remember that admission is free for National Trust members. Find out how to stay at Langton House, just 10 minutes away, by clicking below.